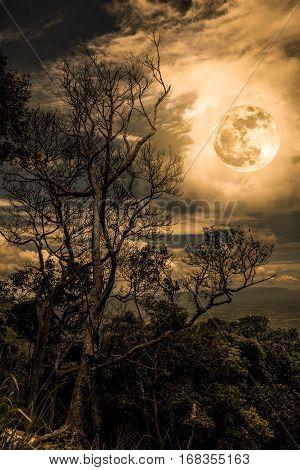 Silhouettes of trees against night sky with clouds and full moon over tranquil nature. Landscape in the evening at national park. Beauty of nature with sepia tone. The moon were NOT furnished by NASA.